Costs – Learn more about the average costs of tree maintenance, removal and stump removal in Salt Lake City, Utah. FAQs – Do you want to play new trees in your backyard? 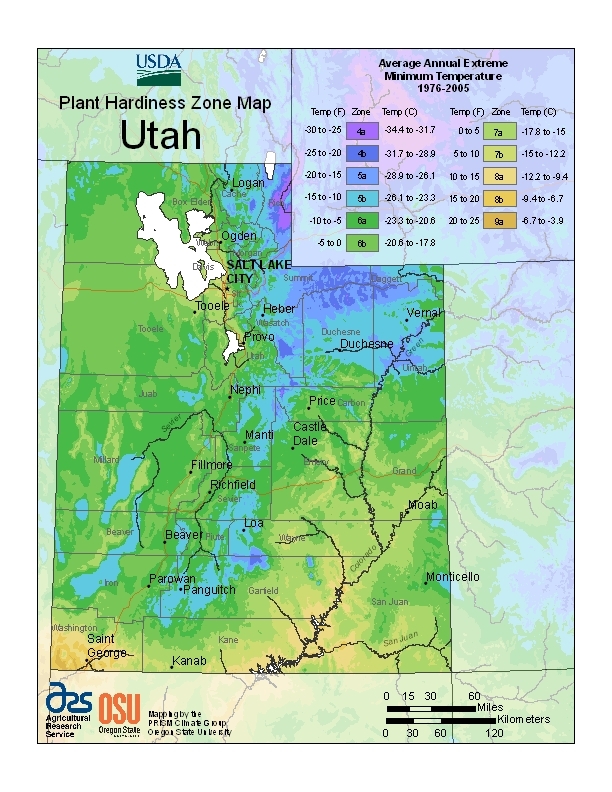 If you live in Salt Lake City, you need to know about the tree regulations, popular plants, current diseases & pests and the plant hardiness zone rating for the city. We have that information compiled here for you. Services – Find a local arborist to help you get information and safely remove or plant a tree for you today. How Much Do Tree Services Cost in Salt Lake City? Salt Lake City, Utah, has four distinct seasons, and its average elevation of more than 4,300 feet makes the area a unique environment for proper tree care and maintenance. The city is surrounded by trees on all sides and from within; neighborhood streets are lined with trees as are the plentiful parks and recreational areas. The average cost to remove a tree in Salt Lake City is $590. The final cost will depend upon the height and diameter of the tree. Very tall trees will require specialty equipment such as bucket trucks, which will add to the project cost. Trees with limbs near electrical wires can also add to the project expense. The average cost to remove a tree stump in this part of Utah is $2 per inch of diameter of the stump. Some tree services will include stump removal in their price quotes, and others may offer a discount if more than one tree stump needs to be removed. The average cost of trimming, pruning or cutting trees in Salt Lake City, UT, is $115 per tree. If the tree is diseased or infested with pests, the tree care may cost more. Trees situated perilously close to overhead power lines or other dangers may also cost more to maintain. Although weather conditions in Salt Lake City can be extreme from season to season, the city maintains substantial greenery. Private property is host to many decorative and fruit trees, and the city has a plan to plant 1 million trees in its borders to improve the air and beauty of this part of Utah. The Salt Lake City government will remove any diseased, dying, dead or otherwise hazardous trees located on public property. A permit is needed to trim, prune, cut or spray trees located on public property, even if the tree overhangs private property. To remove a tree on private property, there are no specific regulations. If there is a dispute between two property owners about the removal, pruning or other maintenance of a tree, the matter must be settled between them. Fast-growing trees like varieties of willow and boxelder require 14 feet of clearance underneath, above and to either side of power lines. Slow-growing trees such as types of spruce and oak must be at least 10 feet from overhead power lines. Due to the potential for extreme weather conditions, the best time for tree removal in Utah is in late autumn before snow falls and after deciduous trees have dropped their leaves. November would be the best month to remove a tree. Any tree that is an immediate hazard should be removed as quickly as possible no matter the season. The state tree of Utah is the blue spruce. It is plentiful in the Wasatch and Uinta mountains and grows at elevations of 6,000 to 11,000 feet. The needles are silvery blue, and the pine cones are large at around 4 inches long. This hardy tree can withstand the extreme weather conditions of the Salt Lake City area. 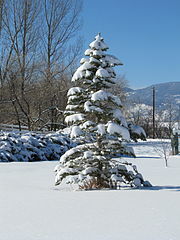 Trees such as the blue spruce that can handle the extreme weather conditions do best in this area. Other trees that thrive in this environment include the Japanese black pine, which tolerates being planted next to roads or buildings; the ginkgo, which tolerates high pollution, soil compaction and irregular water levels; and the hedge maple, which is well suited to tolerate Salt Lake City’s soils, drought and urban pollution. Pear, apple and crab apple trees grow well in the city. Dwarf peach, plum, cherry, nectarine and apricot trees may also survive here. Citrus trees must be planted in containers and brought inside during the winter. 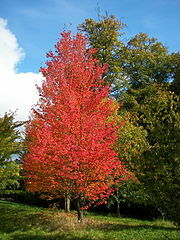 Maple trees are difficult to maintain in Salt Lake City due to their root structure and the local soils. Varieties of oak, poplar and ash are also difficult to maintain when located next to a structure, street, sidewalk or other paved area. Aspen trees are prone to aspen leaf spot. Most maples, sycamores, oaks and ash trees are prone to anthracnose infection. Pear, apple, hawthorn and mountain ash trees are prone to fire blight, and cytospora canker affects blue spruce trees.